You can now register as a PET supplier with Eco Spindles by downloading the below form. 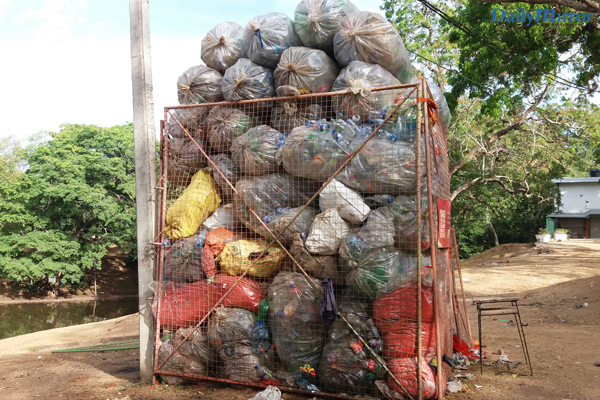 Kataragama Festival PET clean-up drive “Gives Back Life” to 3 Tonnes of PET Bottles. 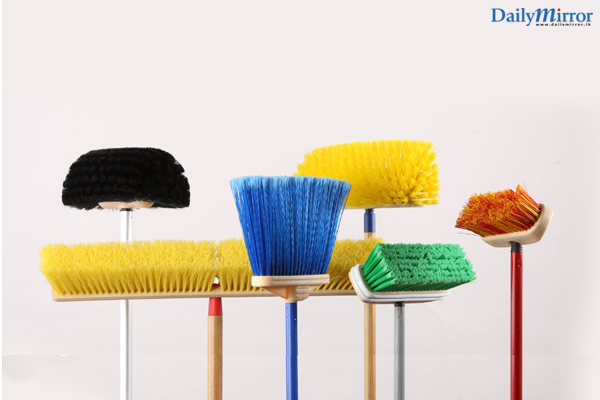 A range of durable cleaning products to be manufactured from the collected PET bottles. Thursday, 17 August 2017, Colombo: Coca-Cola Beverages Sri Lanka Ltd recently supported and sponsored the effective clean-up of PET bottles following the large crowds gathered at the Kataragama Festival. It was a community-driven sustainable initiative with the partnership between Coca-Cola, Beira Enviro Solutions Ltd (part of BPPL Holdings) and the Kataragama Committee to collect and recycle PET during and after the Kataragama Festival from 24 th July till 10 th August 2017. Bottled water, fruit juices and carbonated soft drinks are packaged in 100% recyclable PET plastic bottles. Since PET is completely recyclable, Coca-Cola partnered with Beira to “Give Back Life” to these used, empty PET bottles which would otherwise have possibly journeyed to garbage dump sites. Coca-Cola’s extended producer responsibility ensured education, awareness and capacity-building initiatives towards an individual’s responsibility towards recycling, as well as the importance of community-driven, sustainable initiatives in PET collection, recycling and waste management practices. The widespread garbage littering witnessed during the days of the Festival reflects poorly on one of the most important cultural and religious events in the country. The PET clean-up drive not only improved the immediate surroundings but also encouraged festival participants to take individual initiative. Ensuring an end-to- end approach to the littering issue during the festivities, 1000 liter and 5000 liter bins were placed in easily accessible locations around the venue for the festival participants to responsibly dispose of their PET bottles. It was a completely hands-on initiative by the organisers with volunteers from Coca-Cola participating on the day to lead the awareness programme in driving recognition of the universal symbol for the PET package – the number ‘1’ in the recycling symbol. Coca-Cola sales associates who oversee the Kataragama area (under the Matara Sales Area) joined hands with volunteers from Beira and the Kataragama Environmental Society in the clean-up efforts of the Kataragama Festival, with the PET collection being managed by Beira. To ensure true environmental responsibility and sustainability, all items in the clean-up drive had to be recycled or reused including gloves and poly-bags. The PET collection was facilitated on the days with the mobilisation of lorries - and this allowed for an astonishing 3 tonnes of PET to be collected.